Friday evening Csíkszereda Sportklub – turning the game from a two goals drawback – defeated Újpest in the semifinals of the regional Erste League with a golden goal in the second overtime. The Székely team won the competition – which continues until four wins – to 4-2 on aggregate, and got into the finals again after six years, where they will play against Ferencváros for the title. 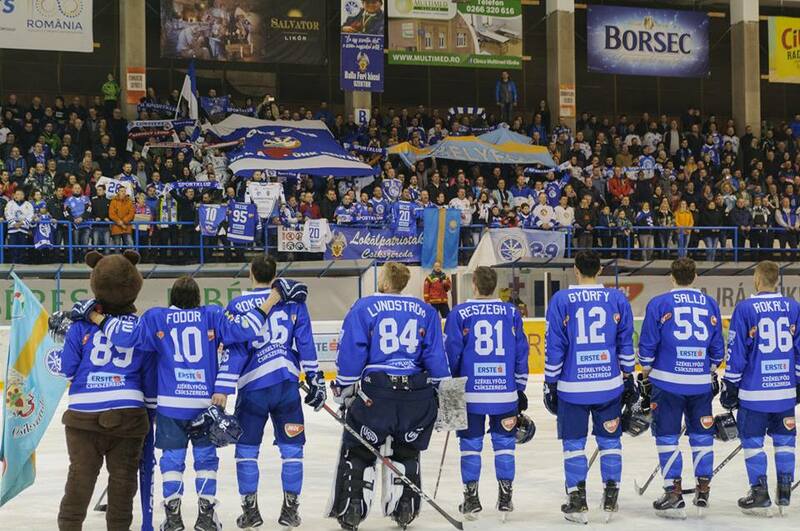 The 90 years old Csíkszereda Sportklub – founded in 1929 -, after winning the Romanian Ice Hockey Championships 15 times and the Romanian Cup 11 times during the past nine decades, Friday night also got into the finals of the Hungarian-based international league for the fourth time. In 2004 Sportklub won its first title against Ferencváros, when the competition was still called Pannon League. 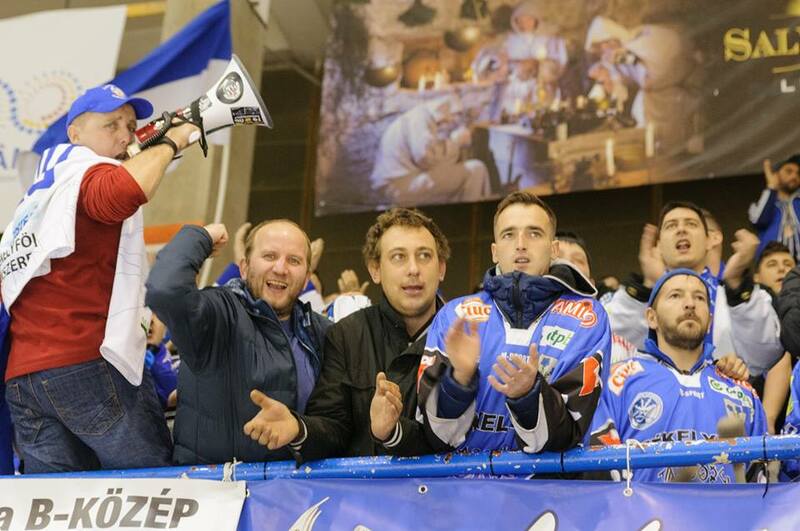 This was followed by three finals in the -that time called- MOL League: in 2008 loss against the short-lived other hockey team of Csíkszereda/Miercurea Ciuc, the Csíkszereda Hockey Club, a win against Dunaújváros in 2011, than a loss against also Dunaújváros in 2013. 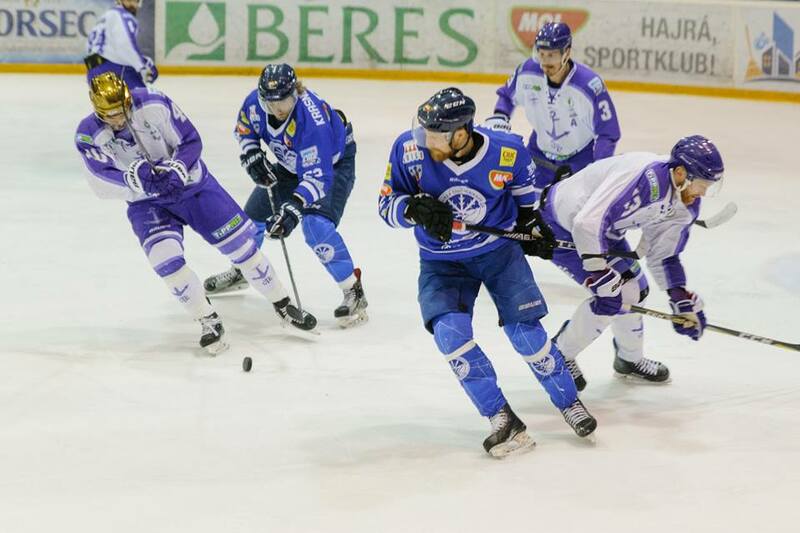 The sixth game of the Sportklub-Újpest semifinals started Friday evening in the jam-packed Vákár Lajos ice rink in Csíkszereda, with the aggregated lead of the Székely team of 3-2. The match didn’t start good for Sportklub, and the first twenty minutes was not favorable for them. The guests scored twice on the power play, and despite Sportklub dominating, when the teams were playing in full strengths, they only scored once during the first period which ended with an Újpest lead (1-2). After the first intermission the guests played on the man advantage again, and after Peter Huba’s goal they were already leading by two (1-3). Later the hosts started to dominate and after an impressive attack with many quick passes Krasznoszlobodcev scored (2-3). 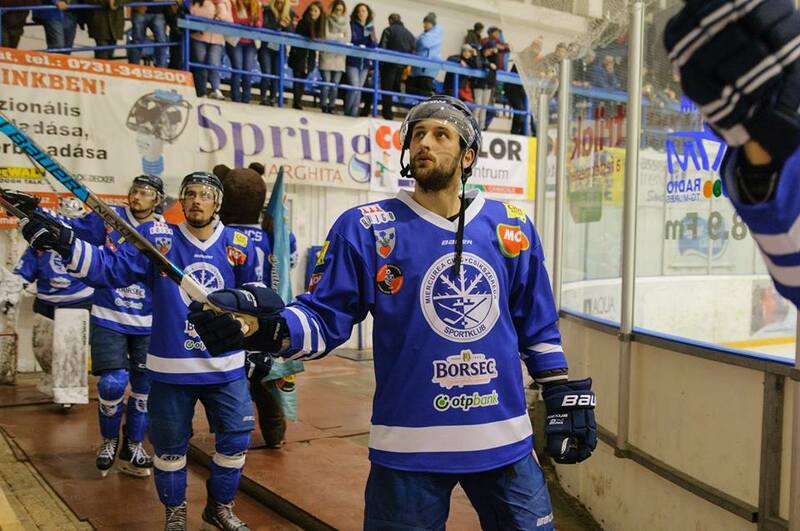 Only one second before the end of the second period Valchar equalized (3-3). The referees had to watch back this goal on video, but finally found it to be valid. While Sportklub had the more chances in the first 20 minutes overtime, they could not score even on the power play. But eventually – in the second overtime -, in the 85th minute Tihamér Becze shot the puck into the Újpest’s net, and with his golden goal Sportklub won both the match (to 5-4), and the semifinals (to 4-2 aggregated). 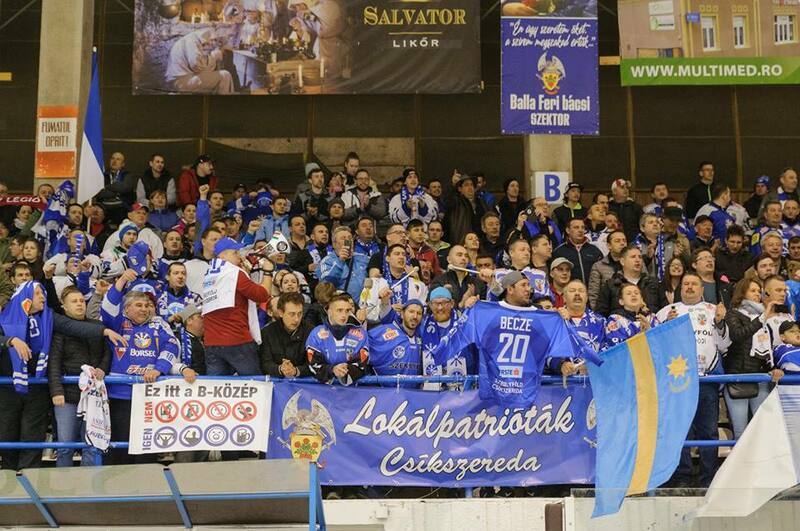 Euphoria started both among the players on the ice, and among the fans on the tribunes. Csíkszereda Sportklub got into the finals of the regional international league again after 2013, where it will play for the title against Ferencváros. The finals will also last until four won games, and the first two matches will be played next Tuesday and Wednesday in Budapest. As a result of Újpest’s fall out, Ferencváros – as the only team from Hungary left standing in the competition – already won the Hungarian Championship, which is integrated into the Erste League.